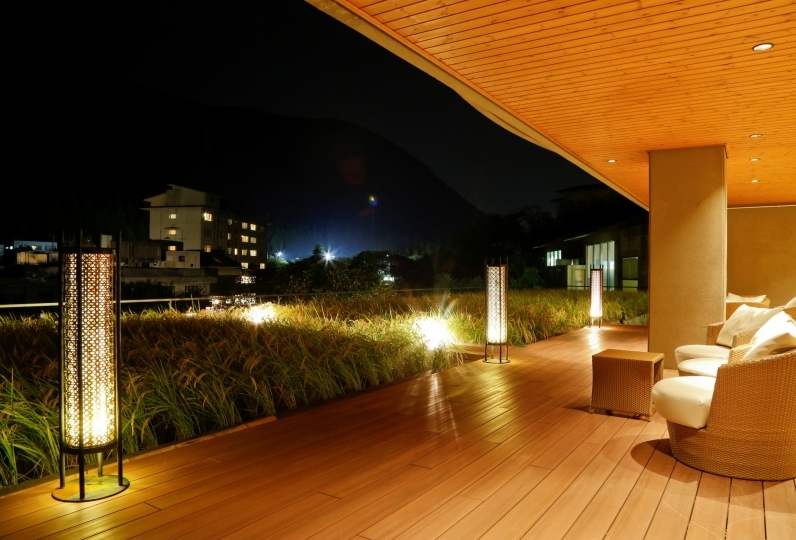 Noto No Sho, a Japanese-style resort brimming with an atmosphere that is distinctly Wajima. 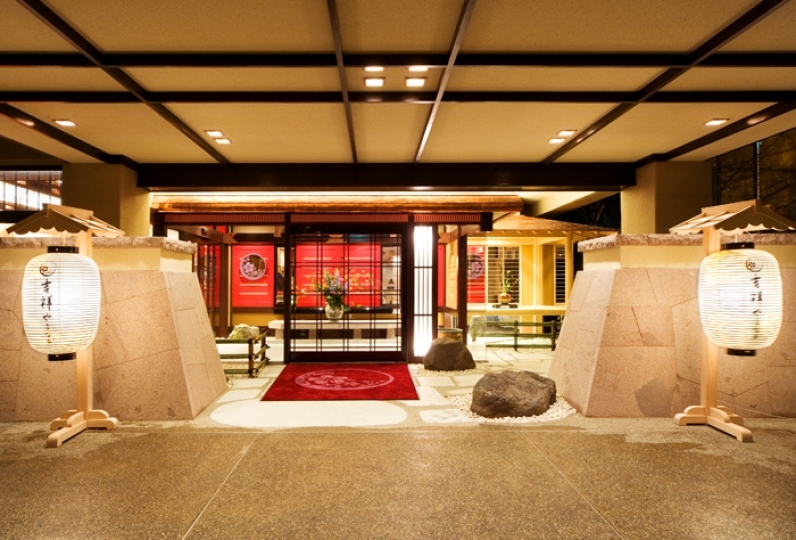 All areas inside the inn have tatami floors. 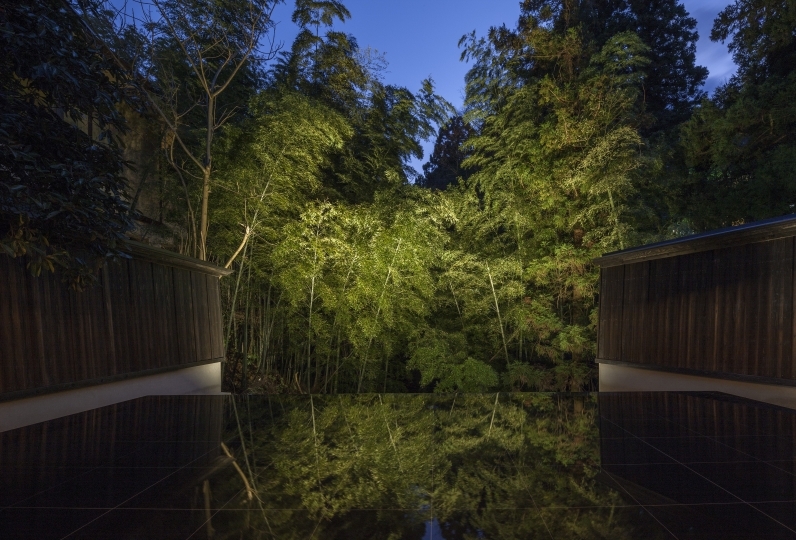 Spend a tranquil soothing time in a space with a view of the Sea of Japan and where a faint sound of the ocean can be perceived. From every guest room the Seven Islands can be seen. In the wintertime the Sea of Japan. In the summertime the local fishing lights. Take all the time you need unwinding while enjoying the view each season of the year offers. 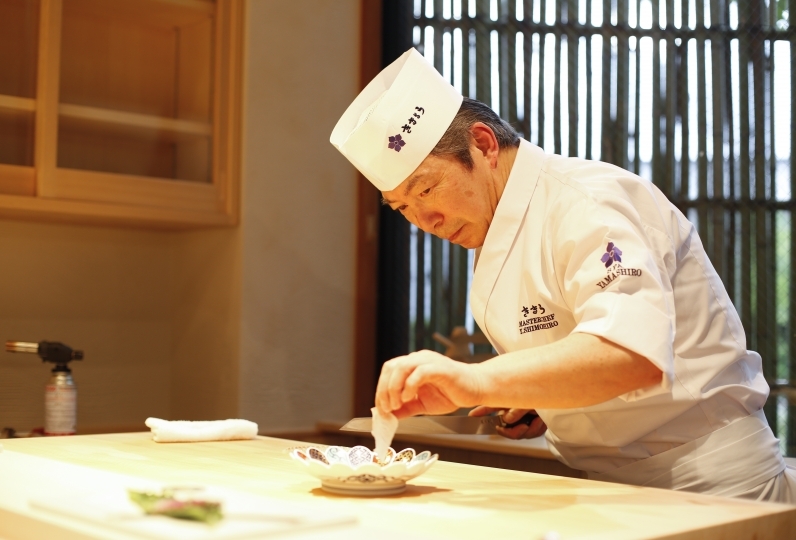 The inn provides cuisine made with locally-sourced seasonal ingredients that are served to guests on Wajima lacquer tableware. Enjoy delicacies only visitors to Noto can taste. 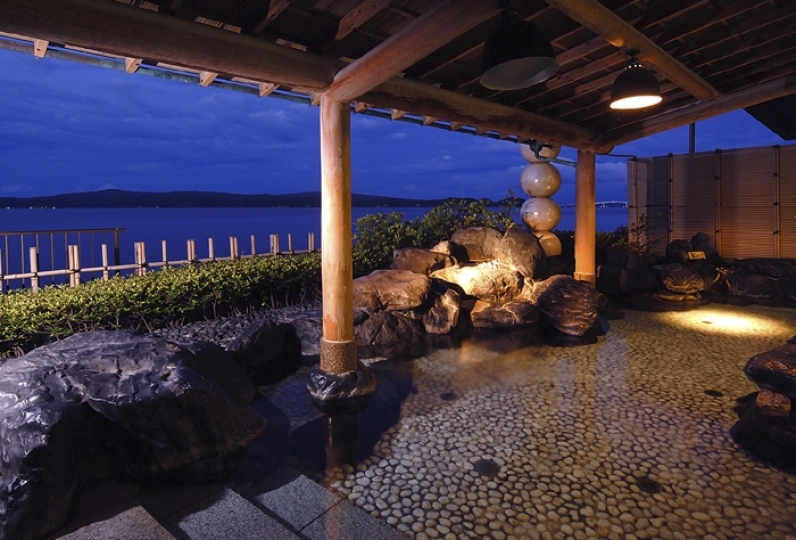 Feel stress disappear as you relax in the serene baths from where the Sea of Japan and a Japanese garden can be seen. The silky hot spring water is said to have beneficial effects to the health of the skin, beautifying it. 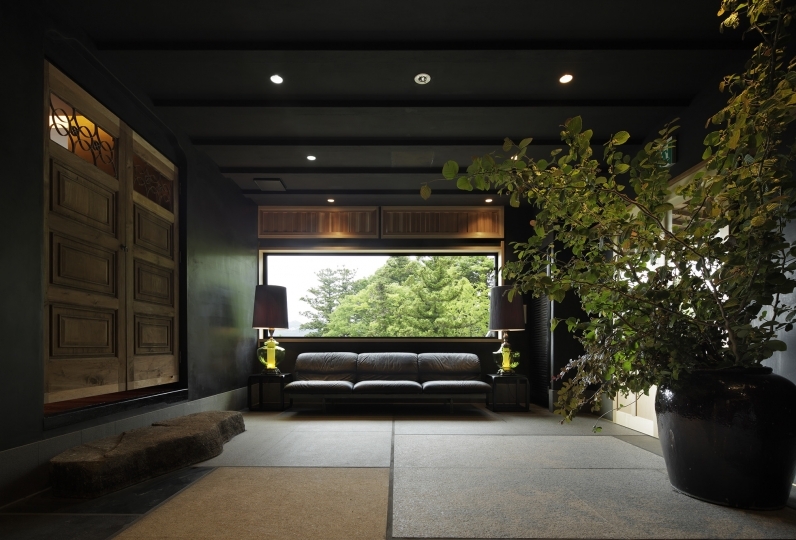 The fresh tatami mats that line the floor. The finish of red lacquer. The jet black wood flooring. 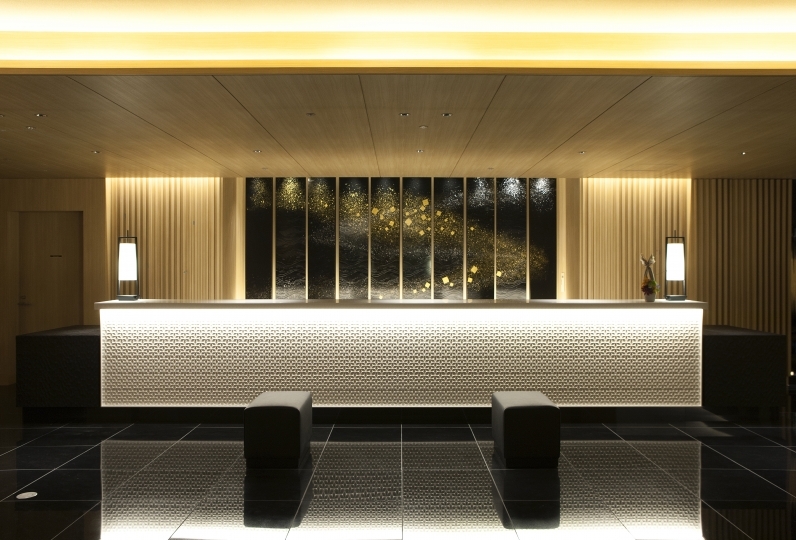 The interior of the inn expresses worldly sophistication and a unique Japanese sensibility. 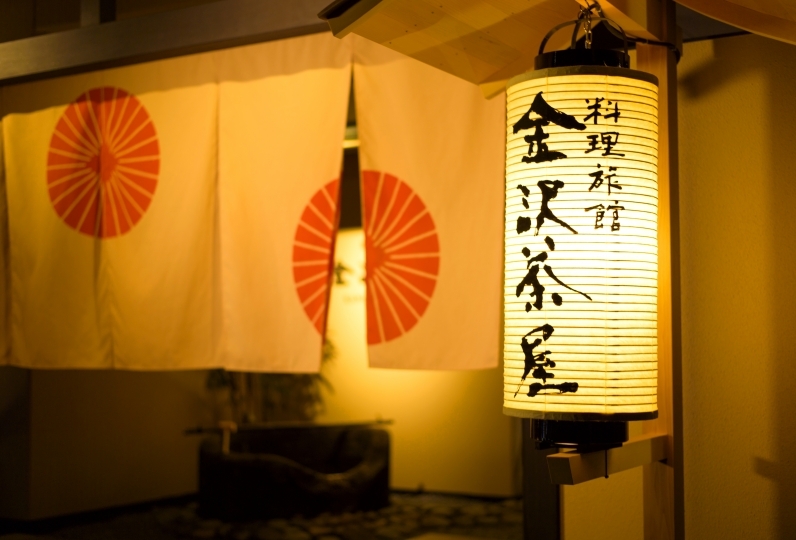 Stay at Noto No Shou to experience the region to your heart's content. It is a feeling that I found a surprising hole. I have wanted to visit again by drop-by boiling water. It was a very cozy accommodation. 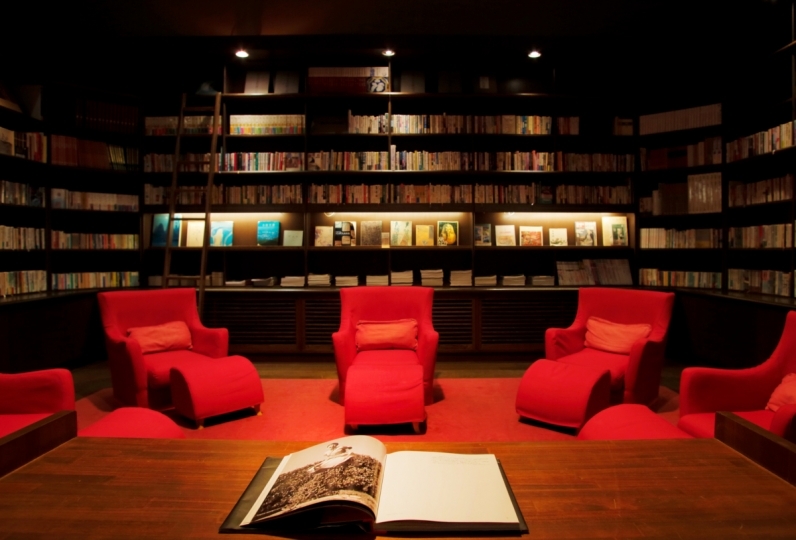 I was able to take the light up of the 1,000-page rice and enjoy the scenery different from daytime. The rooms are clean and the staff were also good guests. The hot spring hot water was very comfortable as a tortoise. It is good even if the outdoor bath is in the observation bath because the inner bath is easy to wake out and likes the open air. (We made it minus 4 by that amount.) The dish is content and volume satisfactory. Of course the seafood is delicious, but in particular the soup stock was delicious. I was trying to purchase soup stock from home on the way back, but it is regrettable that I did not purchase it. At the end we will check out with us for our convenience and we apologize for any inconvenience caused to you everyone. Thank you very much for your support. 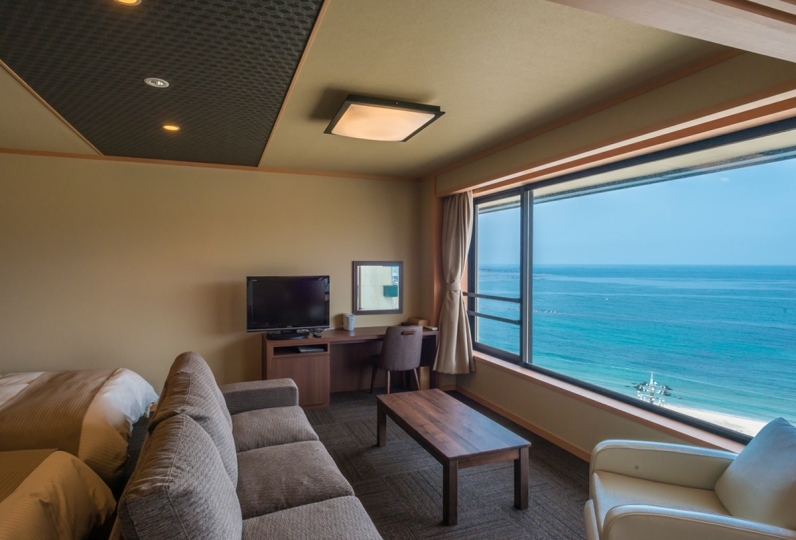 Baths on the second floor of the hotel with a spectacular view of the Sea of Japan. 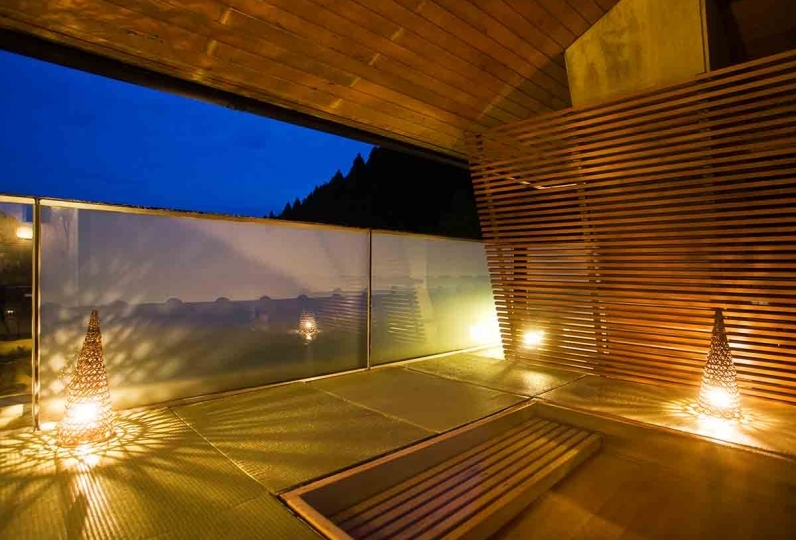 Open-air bath with a view of a Japanese garden. In the evening enjoy the night sky full with stars. The former hot spring is attached to the outdoor bath. Spread your limbs slowly and heal the daily fatigue with a spacious bathtub. The moist and soft touch of the water is popular among women. A bedrock bed using "South Indian resurrection rock" warms the body from it's core and promotes metabolism. Various health benefits can be expected by the detox (toxin emission) effect. Fee: Facial and head massage, 40 minutes, 8,640 yen. Other treatments are also available. The skin absorbs the effect obtained by aroma massage. Since essential oil is made of very small substances, it passes through the skin. Not only do the ingredients of essential oils moisturize the skin but also penetrate further into the blood and lymph and travel around the body to act on each organ. 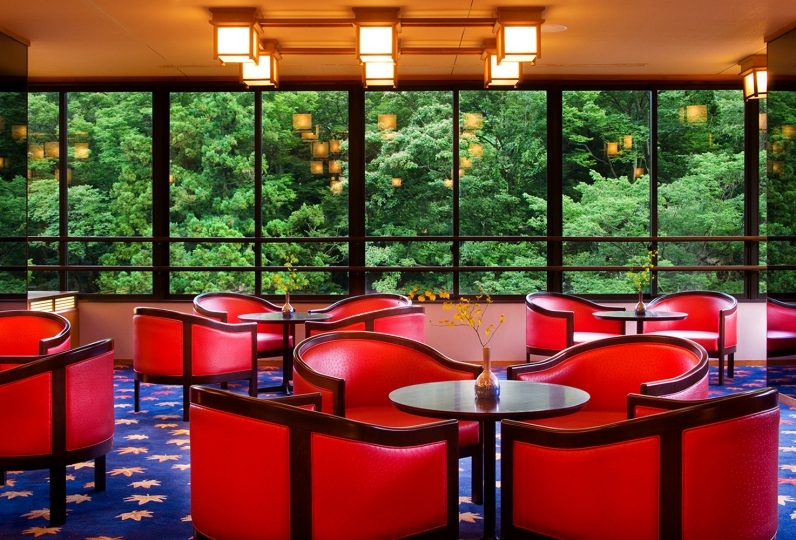 *From Michi no Eki Wajima a hotel shuttle can be taken to the Noto No Sho. If you wish to use the shuttle to the hotel please make a reservation before your arrival.